As a live service game, tweaks and changes are to be expected throughout Anthem’s life. A major change will be coming to Anthem in the coming weeks with the addition of “vanity chests.” True to their name, they will be for vanity (or aesthetic) items only. There’s not a clear date for their introduction quite yet, but be on the lookout for them in the near future. The feature was confirmed in a recent Anthem stream, along with basic details about how they’ll operate. There’s not a ton known about them at the moment, but it appears that you need to finish strongholds in order to get access to the chests. Each stronghold will have 4 chests, and can only be opened with a key. All members of the party can get a hold of a key to open one of the chests, which means there’s one chest for each party member. It’s unknown exactly what items will be in these chests, though it was confirmed that emotes and vinyls can be acquired form them. Crafting items were also mentioned, though it’s not known if armor can be taken from the chests. To make them even sweeter, you cannot get duplicates from these chests, which hold around 100 different items. And that’s not all, either, because one chest gives loot for all players in the party! We don’t know when these new chests will make their way to Anthem, but considering how openly they were talked about, it could be as soon as the newest update. 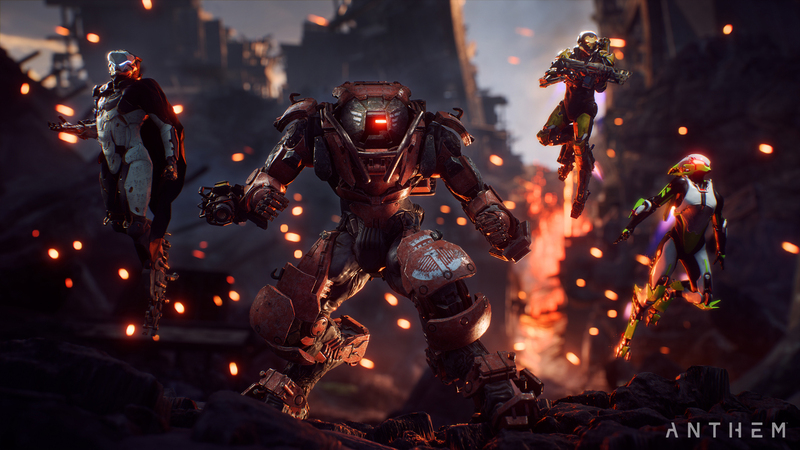 Anthem has already been out on some platforms, though it only just released on the PlayStation 4. However, considering the rocky launch Anthem has seen in early access, PS4 users may have gotten off easy.